Salad by Slow (via Facebook). 1) Downtown Berkeley’s Slow Restaurant (1966 University Ave.) appears to be closed. As Berkeleyside Nosh first noted, a sign on the window reads, “After four long years, Slow is taking a much-needed break.” The restaurant’s current answering machine greeting adds that the reason for the break is “for family.” The restaurant was known for serving “slow food” (in the local/sustainable/Pollan-esque sense) — rather quickly, actually — in a casual, order-at-the-counter setting. I’ve reached out to the owners to confirm whether this is, indeed, a farewell for the current incarnation of Slow, or whether the restaurant is merely taking an extended vacation. Stay tuned. 2) Is Rockridge ready for yet another ice cream shop with lines out the door? Inside Scoop reports that CREAM, the Berkeley-based purveyor of bargain-priced mix-and-match ice cream sandwiches, is planning to expand its empire to the first floor of the new Safeway project, at the intersection College and Claremont avenues. 3) For the gossipmongers and car-wreck watchers among us, the opening night debacle at Capone’s Speakeasy (1400 Park St., Alameda) is the gift that keeps on giving. If you recall, the bar’s inebriated owner allegedly tried to bite an Alameda police officer while resisting arrest. Now, The Alamedan’s regular food writer offers an eyewitness account of the immediate aftermath of The Bite, plus other unusual occurrences from opening night — table dancing, anyone? 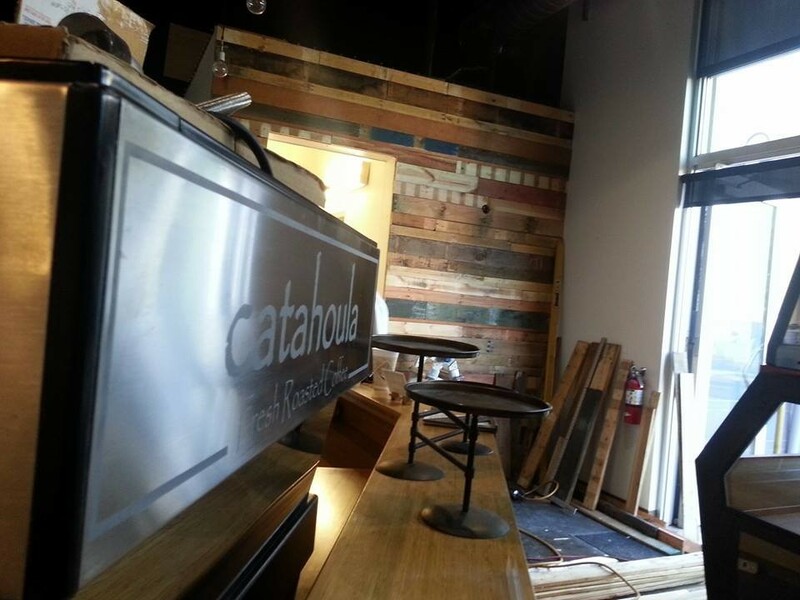 Catahoula's new digs (via Facebook). 4) We’re still mourning the loss of Sketch Ice Cream, but Berkeleyside Nosh brings happy news that the ice cream shop’s former West Berkeley home has a new tenant: Catahoula Coffee, the Richmond-based roaster, has opened its second location, the Catahoula “Kaffeegarten,” at 2080 Fourth Street. The cafe will have its official launch sometime in October, but it’s open and serving coffee now. 5) Berkeleyside Nosh reports that the City of Berkeley has settled a lawsuit that was filed by the “Elmwood Neighborhood Association,” a NIMBY-ish group that cited traffic and noise concerns in its opposition to a new restaurant proposed by the owners of Comal. 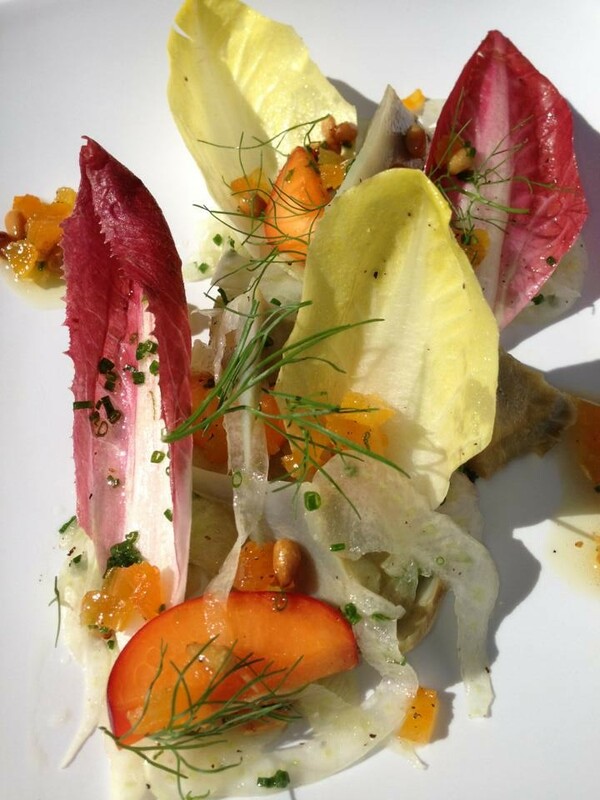 The yet unnamed California Cuisine restaurant is now expected to open at 2635 Ashby Avenue next summer. 6) Kushido, a new Japanese restaurant specializing in yakitori (i.e., Japanese-style grilled skewered meats), is coming to Temescal, Inside Scoop reports. The restaurant will open in early October in the former Clausen House Annex at 4828 Telegraph Avenue. 7) Instacart, the app-powered grocery delivery service, is branching out to reach the farmers’ market crowd. Eater reports that Instacart is debuting the service in the East Bay, offering delivery from the three Berkeley farmers’ markets (on Tuesdays, Thursdays, and Saturdays) and the Oakland Grand Lake farmers’ market (also on Saturdays). For market regulars who don’t plan to use the service, I suppose that means you’ll now have extra competition from the couch-potato crowd for, say, the last of your tomato guy’s best tomatoes. 8) It’s a big food festival weekend, but if you don’t have too much on your plate already, consider checking out Oakland’s first annual Black-Eyed Pea Festival at Mosswood Park (3612 Webster St.) on Saturday, September 20, from 11 a.m. to 6 p.m. There will be fresh black-eyed peas for sale, a black-eyed-pea-centric dinner (with or without meat), a cooking demo, and a talk on the history of African-American farming traditions. Check out the full schedule here. 9) As part of an ongoing series about Oakland street food, Oakland Local takes a behind-the-scenes look at the life of a Fruitvale fruit cart vendor. 10) Finally, ICYMI, here’s everything you need to know about this weekend’s Eat Real Fest.